About 110 participants from the industry, the scientific community and public institutions followed the invitation on 14 November 2018 to the annual workshop of the Tech Center a-drive. 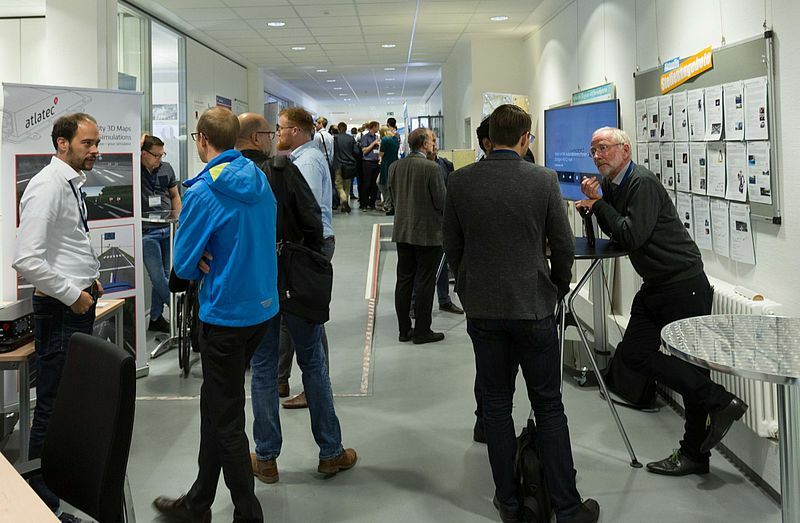 This years’ event took place in the House of the Living Labs at the FZI Research Center for Information Technologies in Karlsruhe. The main topic was the securing of automated driving functions. Presentations by industry partners and research experts gave a broad insight into the current challenges of securing these complex automated functions and introduced new approaches to the problem solving involved in these processes. Presentations on the current projects of the Tech Center and an accompanying exhibition with videos, hardware and posters topped the workshop off.